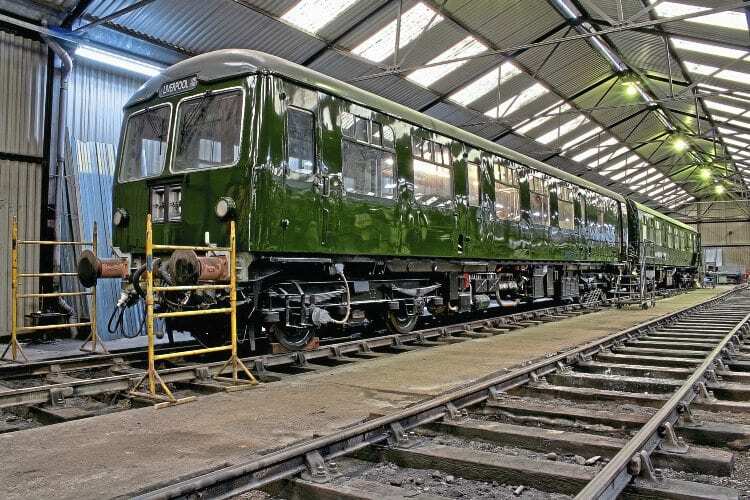 THE only surviving Class 105 two-car Cravens DMU is nearing completion of an extensive restoration at the East Lancashire Railway (ELR). DMBS No. 51485 and DTCL No. 56121 are seen on March 5 and are due to make their debut on the ELR at the Scenic Railcar Weekend on November 4, following completion of interior work. More than 300 vehicles of this class were delivered to BR in the late-1950s, but were never refurbished and suffered early withdrawal with only three cars preserved. This set was used by the West Somerset Railway until withdrawn in the early 1990s, due to asbestos contamination. Fortunately, the ELR was prepared to take on the two cars for restoration.